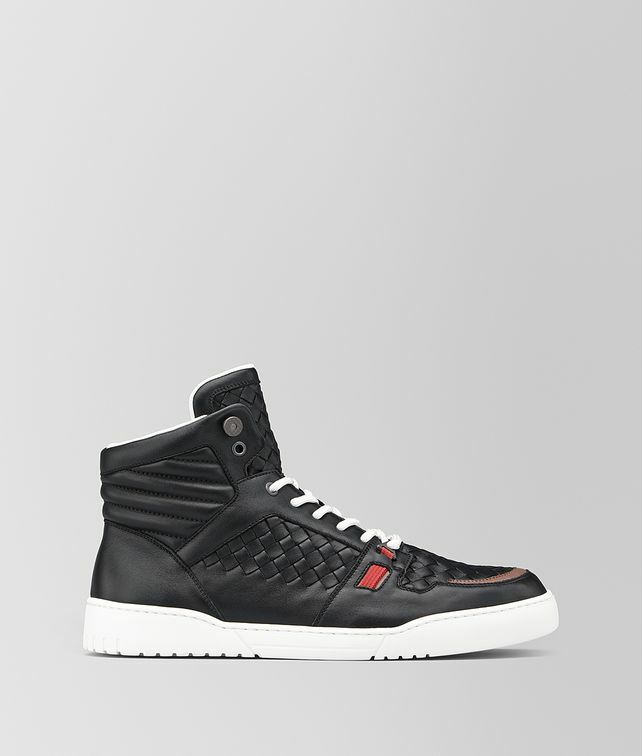 This high-top sneaker is crafted from smooth calf leather and features handwoven intrecciato panels and a contrasting-colour accent on the toe. The style is lined in breathable mesh fabric, with a lightly padded collar and gripped rubber sole for all-day comfort. Finished with contrasting laces.